Our projects normally start with a visit to the showroom and brief discussion on the range, style and functionality of your new kitchen. 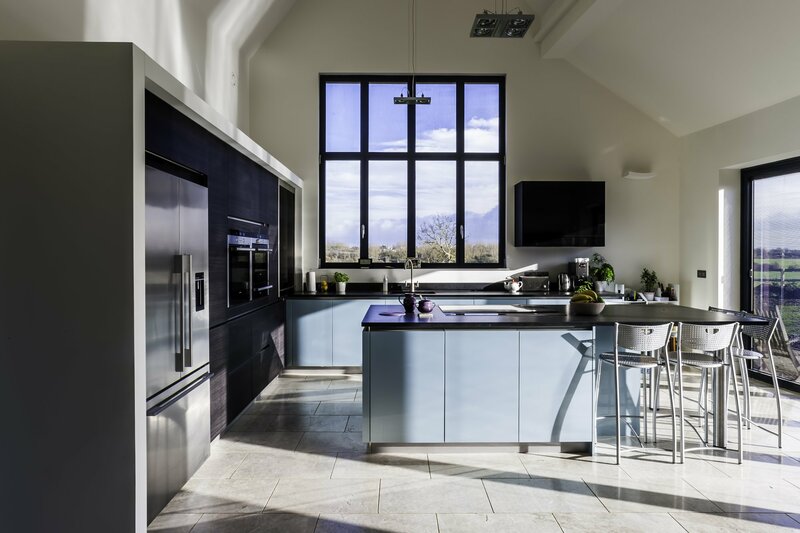 One of our experienced designers will arrange an appointment to evaluate your existing kitchen space and discuss your requirements. In our showroom, we will present our design proposal for your new kitchen, using 3d colour drawings and an itemised cost schedule. Updated design solutions can then be produced to tailor the design to your preferences. Our aim is to find the solution which best suits your needs. Once we arrive at your final design solution, and ready to proceed with the installation, a final set of the design drawings and cost schedule will be produced for you. At this stage a 20% deposit is paid to confirm the order, and our installation team will receive details of the project. Our Project Management Team will arrange a visit and recheck the technical aspects of the installation. A full assessment will be made of the different aspects of the project and a detailed programme for the installation will be produced for agreement. Our Building, Electrical team, and any specialist services will normally visit prior to the installation to check details of the existing property before work commences. This may include our structural engineer if the proposals include removing any walls. One of our experienced installers will undertake the work and be in regular contact with our Installation management team who co-ordinate the various aspects of the installation and deliveries throughout the installation. Upon completion, a final inspection will be undertaken with you and any remedial or additional items will be noted, agreed, to allow us to satisfactorily complete your new Kitchen Installation.